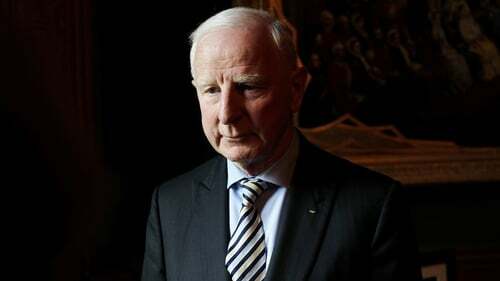 The Association of National Olympic Committees has loaned Pat Hickey the money to make a bail payment and allow him return home from Brazil, according to reports. Mr Hickey was arrested three months ago during the Rio de Janeiro Olympics in connection with an investigation into alleged ticket touting. The 71-year-old has denied any wrongdoing and has stood down from his role as president of the Olympic Council of Ireland while the investigation takes place. A judge in Brazil ruled last month that Mr Hickey could be given back his passport and permitted to leave the country on payment of a €410,000 bond. Last month, the OCI ruled out paying the bond for Mr Hickey. However, it is reported that the ANOC has made the temporary loan to Mr Hickey on humanitarian grounds. The decision was unanimously approved by ANOC president Sheikh Ahmad Al-Fahad Al-Sabah, and all ANOC vice presidents via a postal vote on 20 November. It is reported the ANOC said the payment was "made as a temporary loan so that Patrick Hickey could meet his bail requirements and return to Ireland where he can receive medical treatment for a heart condition. "The terms of the temporary loan make it clear that it must be repaid to ANOC in full. For legal reasons, all other terms and conditions surrounding this bail payment will remain confidential."